We know how it is... you find the perfect program or application that will reduce your company's costs and/or save tons of time, but you want/need to prove it will work. That usually takes capital and quite a bit of set-up time. inspectiTRAC can help! To make it easier to prove the return on investment of inspectiTRAC in your environment, we're offering two programs to choose from. The Test Drive allows users to use the system in their own environment for 60 days to experience the ease of use and the potential ROI of the system given their unique situation. During the 60-day Test Drive the users are provided up to 2 customized inspections, audits or observations, and the hardware needed to experience the system in a mobile tablet-based environment. What makes the test drive even more appealing is this opportunity is provided at minimal cost to organizations who have a serious interest in proving the value of the system. The other option is a pilot program that allows users to test the system for an extended period with their own hardware without entering into a long-term license agreement. 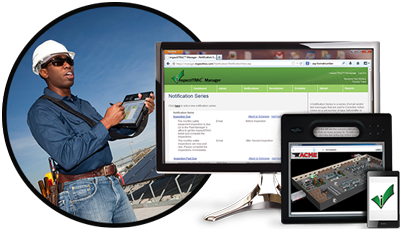 The pilot program allows users to pay a short-term license fee which allows them complete access to the inspectiTRAC Suite and ability to customize and utilize the system for up to 6 months. An initial consultation and program training is also provided at no additional cost. At the end of the trial period, the cost of the pilot program license is then deducted from the total inspectiTRAC program cost, thus making the pilot program free.